Riviera Nayarit Mexico Blog: The Events Are Back On In The Riviera Nayarit! 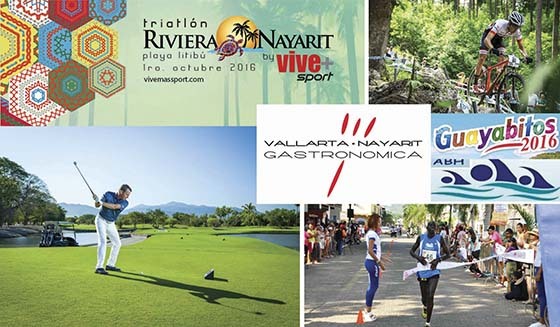 The Events Are Back On In The Riviera Nayarit! This is a recreational race, mainly to encourage the love of sports and give runners one more excuse to come vacation in the Riviera Nayarit. One of the most important sport fishing tournaments in the Riviera Nayarit is held in La Cruz de Huanacaxtle. Dozens of boats will be seeking to break the records for Tuna, Marlin, Mahi Mahi and Sailfish and take home the top prizes. The local Patron Saint Festivities in San Francisco—better known as San Pancho—are a very Mexican tradition held every year. Come enjoy the dances and the local verbena with its unique flair in this, the Cultural Capital of the Riviera Nayarit. 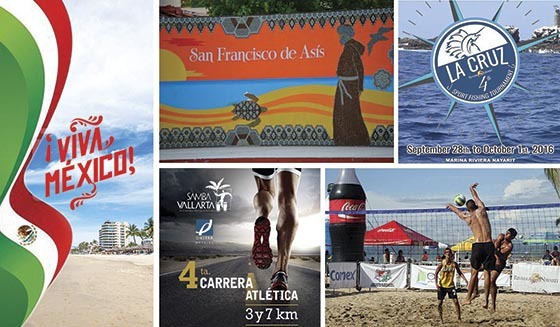 Litibú will host for this sporting event for those who are prepared to brave the Swimming, Biking and Running portions on the beaches and mountains of the Destination. You can’t miss it! Get ready for mountain biking to the max in the Las Varas community of Compostela. The new Vidanta Golf Greg Norman Design course will be inaugurated in high style with a series of events, among them, this celebrity tournament with several ex NFL, NBA and PGA Tour athletes. The Avenida Sol Nuevo in Rincón de Guayabitos will come alive with runners enjoying this casual competition and family-friendly atmosphere. This is the first time this aquatic event takes place in the Riviera Nayarit—it’s not only a top-level competition but also quite a sight for visitors. The Bahía de Jaltemba will be brimming with swimmers in search of glory. This year’s schedule places it among the top events of its kind on the continent: 46 chefs from around the world will be participating, along with four special guests who share 6 Michelin stars among them—including Jordi Roca, who has three of those to his name. Click here for a calendar of events: http://www.rivieranayarit.com.mx/calendario_de_eventos.